HTC U Ultra is also released in the Philippines earlier this week. The handset's significant feature is its second display which is very similar to the LG V20. You can use this extra screen to display essential apps and notifications. The handset is somewhat similar to the Google Pixel XL in terms of specs sheet. With the same Snapdragon 821 and 4GB RAM platform, you'll expect everything to be processed with ease. The HTC U Ultra also boasts a 12MP dual pixel rear camera with OIS, PDAF Laser AF and dual-tone flash. It also comes with a 16MP selfie shooter. This falls into the higher mid-tier category and is priced at Php 26,990 in Lazada. 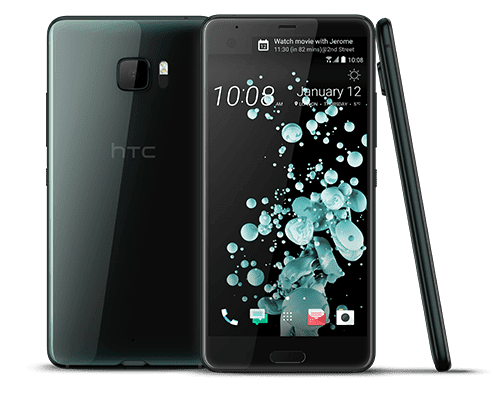 You can get the HTC U Ultra in Brilliant Black, Ice White, Sapphire Blue and Cosmetic Pink.